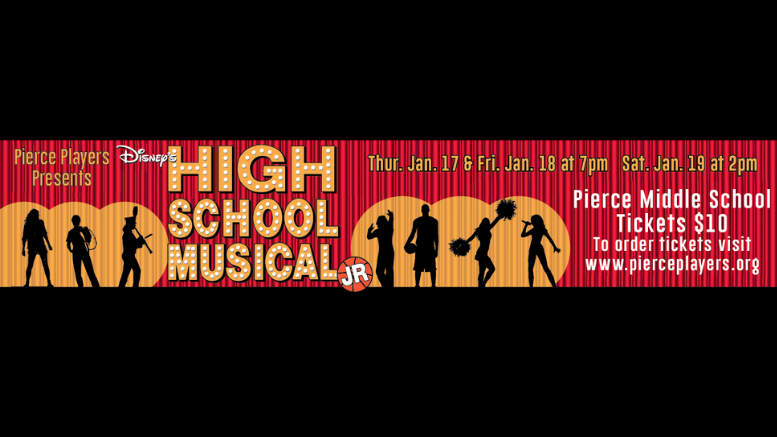 Disney Channel’s smash hit movie musical comes to life on the Pierce stage in Disney’s High School Musical JR. Troy, Gabriella and the students of East High must deal with issues of love, friends and family while balancing their classes and extra curricular activities. The show’s infectious, danceable songs are sure to engage performers and audiences alike. Be the first to comment on "Pierce Players to present High School Musical on stage tomorrow evening"